We know that our business has an impact on the environment and the communities around our airport. We work hard to reduce the environmental impacts that result directly from our operations and where these are outside our control, we exert our influence to bring about change. Finding answers to these challenges is a crucial part of our success. mpacts such as noise and air quality impact local communities and we try to build good relations with the communities around our airport so that we can operate and grow our business through discussion and agreement. We listen to and consult with our local communities and our activities are influenced by their views. The main local environmental impacts are noise, air quality, surface transport, energy, waste, water and land quality, water use, and biodiversity. Read our Stansted Airport Environment and Energy Policy 2017 here. Aircraft noise – caused by take offs and landings, taxiing and engine testing – is an important issue for communities living near London Stansted airport and under the flight paths. We monitor aircraft noise levels and departure tracks and fine airlines that break noise limits and who persistently fly off-track. We also log, investigate and respond to noise-related public enquiries and complaints to help people understand the different factors that could impact aircraft noise. As part of our work we liaise closely with airlines, air traffic controllers and local authorities to meet our objectives. We aim to provide clear information regarding the management of aircraft noise at Stansted Airport, for people living around our airport. Aircraft and vehicles at and around our airport emit a number of pollutants, particularly nitrogen dioxide (NO2) and fine particles (PM10) which have an impact on health and the environment. However, our airport is not the only contributor to local air pollution – for example, air quality is also affected by M11 and A120 road traffic. Reducing congestion around our airport and improving public transport links is crucial if we are to operate and grow our business sustainably. We actively encourage passengers and staff to use public transport and work hard to ensure we have good public transport links. Improving energy management practices and reducing associated climate change emissions is a core business strategy at London Stansted. In 2010 we achieved the Carbon Trust Standard for our approach to managing and reducing our carbon emissions. We have now reviewed and updated our energy strategy with a clear focus on further reducing emissions by reducing energy demand and investing, where appropriate in energy efficient and low carbon technologies. 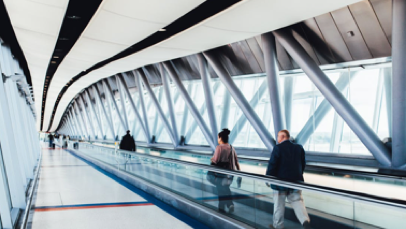 Airports generate large amounts of waste, including a considerable proportion from companies involved in cargo handling, retail, flight catering and aircraft maintenance. Each year, we actively try to reduce waste where possible. By adopting a more responsible approach, our aim is to lower the cost of airport waste management, recycle more waste and divert waste from landfill. As most of the waste produced at our airport is generated by our customers and contractors, our greatest role is to work with these groups to encourage good waste management practices. 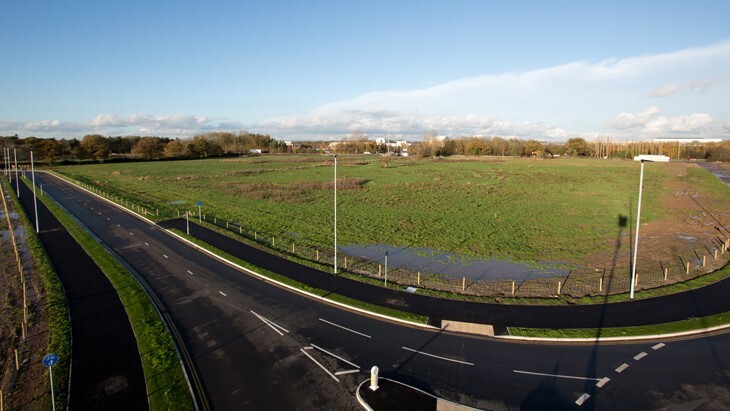 As our airport covers large areas of land, it creates large amounts of runoff water which has to be effectively managed to comply with environmental standards before being discharged. We have an environmental management system that deals with the water and land quality in accordance with Government legislation. We aim to protect the environment through a responsible and proactive approach to water quality management, and to comply with regulations now and in the future. Water is a valuable resource, one that needs to be used sparingly. As a infrastructure provider we use significant volumes of water in our operations and it is essential that we take a responsible approach to water consumption. Our approach to water consumption first demands an understanding of how much is used and where. This is achieved by regular monitoring, targeting and leak detection. We've introduced water conservation practices within our existing buildings. Noise and air pollution resulting from everyday running of an airport can impact on local biodiversity. Airport construction can also cause loss of habitat for local plant and animal species. We work with local communities and organisations to conserve biodiversity on sites near our airport. We're making the most use of existing land for airport developments and where possible not building on green spaces. Where there is no viable alternative, we work with those affected to mitigate and/or compensate for biodiversity impacts. We try to conserve biodiversity on-airport and on-site, with aircraft safety a priority and have developed biodiversity action plan.